Rhizome wiry, widely creeping, branched, densely hairy with red-brown, long-armed stellate hairs to 1 mm. Fronds pendulous, spaced apart (up to 6 cm). Stipe slender, up to 3.5(-10) cm long, set with stellate, pale brown hairs, sometimes winged in the upper 1/4. Lamina dark green turning brown, long and narrow, narrowly lanceolate to linear in outline, 8-45 × 1.7-6 cm, 2-pinnatifid, membranous. Pinnae in 8-24 pairs, rhomboid-oblong in outline, to 3 x 1.2 cm, angled forward at c. 45 degrees, unequally dichotomously branched into c. 6-15 lobes. Lobes linear, to 2.5 mm wide, apex rounded, both surfaces with pale brown, stalked, stellate hairs along the axes and margins, venation simple. Rhachis winged, bearing stellate hairs. Sori terminal on the distal lobes of each pinna, 1-1.6 mm in diameter; indusial valves ciliate with branched hairs; receptecle included. 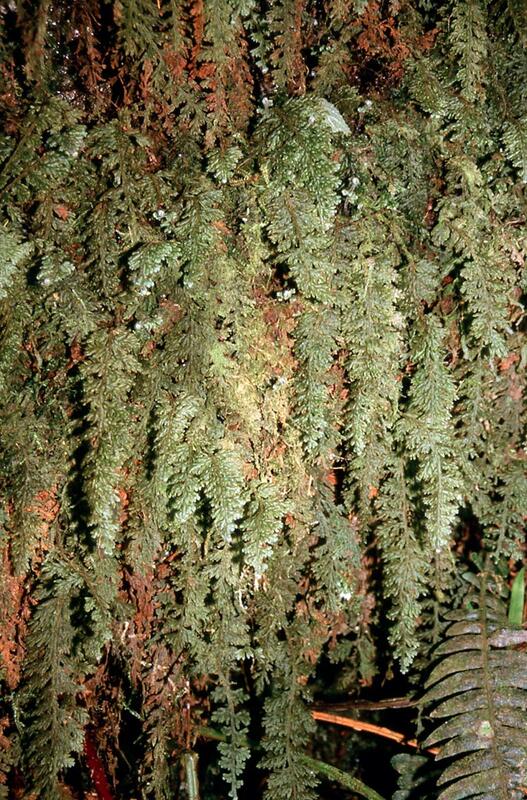 splendidum: splendid, striking; alluding to the handsome appearance of this fern. Moist forest, sheltered rock face in moist ravine in evergreen forest. Burundi, Cameroon, Dem. Republic of Congo, Equatorial Guinea (incl. Bioko), Gabon, Kenya, Malawi, Mozambique, Rwanda, Tanzania , Zimbabwe. Beentje, H.J. 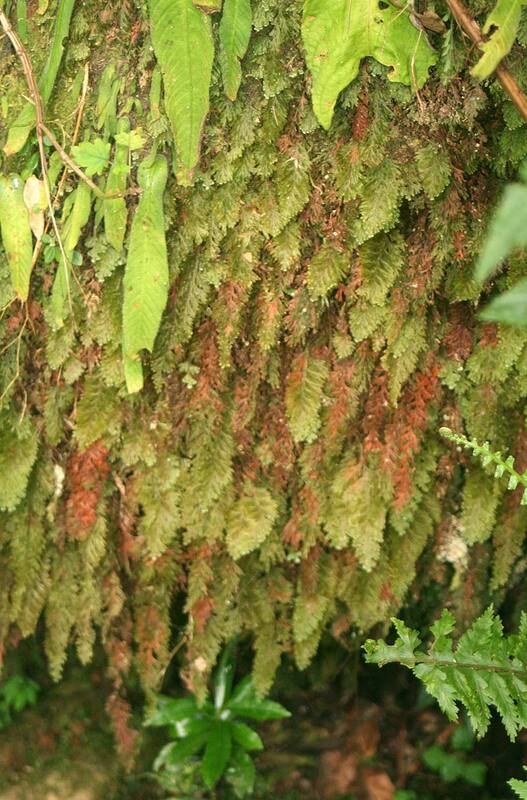 (2008) Hymenophyllaceae. Flora of Tropical East Africa, Pages 2 - 3. (Includes a picture). Burrows, J.E. (1990) Southern African Ferns and Fern Allies. Frandsen, Sandton. Page 100. (Includes a picture). Roux, J.P. (2009) Synopsis of the Lycopodiophyta and Pteridophyta of Africa, Madagascar and neighbouring islands. Strelitzia 23, South African National Biodiversity Institute, Pretoria. Pages 46 - 47.